This study investigated the relationships between perceived social network sites (SNS)-game addiction and gratifications, loneliness, leisure boredom, self-esteem, and usage of SNS-games. Data were gathered from a sample of 342 college students aged 18 to 22 in mainland China. Factor analysis yielded a three-factor gratifications structure (achievement, inclusion, and entertainment) based on the 11 motives for playing an SNS game obtained in a focus group. As hypothesized, loneliness and leisure boredom were found to be significant predictors of the level of SNS-game use and likelihood of addiction. SNS-game addicts tended to be male, lonely, often leisurely bored, and motivated by winning virtual money and gaining a sense of achievement. However, self-esteem was not a significant predictor. Implications for university administrators and suggestions for future research were discussed. Social Networking Sites (SNS) have developed rapidly in recent years. According to the “Survey Report on SNS Usage Pattern among Chinese Netizen” published by CNNIC (2009), Chinese SNS users have reached 124 million. Among these, 50.3% were students. While the number of visitors to social networking sites is increasing, so too are the numbers of new services launched (such as SNS games). In mainland China, many large-scale SNS companies have found a market in SNS games. SNS games differ from traditional online games in several respects. Firstly, they are free of charge and have few entry barriers for new players. Some SNS games are as simple as parking cars or tending gardens online. Users do not need to read any game strategy or install any local client software to find out how to enhance the game level. Secondly, as previous research has defined the SNS as a bounded system, within which users can construct a public or semi-public profile and share a connection (Boyd & Ellison, 2007), the games in an SNS platform are usually played among real-life friends, or at least the gamers can become familiar with the other players’ profiles through SNS. Thus, SNS games are more personal than traditional online games. SNS-game applications are enormously popular in mainland China. Data from CNNIC (2009) shows that among people who log onto SNS more than once a day, 51.7% play an SNS game. More than 27% of SNS users considered the game application to be their motivation for using SNS. Because of the highly appealing game applications, many SNS websites began to use them to attract more dedicated users. Happy Farm is currently the most popular game in the SNS game market. The proliferation of SNS games has also triggered many problems. Nearly all the gamers report such actions as getting up at midnight to harvest or “steal” vegetables. Helping others to “steal” vegetables even becomes a popular job among college students. In light of the potential significant effect the games may have on users’ normal life and mental health, the government is considering limiting the use of Happy Farm. Previous research about Internet addiction found that college students comprise the segment of society most vulnerable to developing a dependence on the Internet (Kandell, 1998; Leung, 2004). 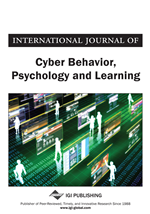 A study conducted by Chou and Hsiao (2000) also indicated that students who are addicted to the Internet report that the Internet affects their studies and daily routines significantly more than the non-addicted group. However, little research explored the relationship between psychological traits and addictive usage. And almost no research explored the special phenomenon of SNS games in mainland China. In light of the social significance of the SNS-game phenomenon in mainland China and the lack of previous study in this area, this exploratory research attempts to identify predictors of SNS games with a focus on gratification, loneliness, leisure boredom, and self-esteem.